Linna’s a rash, excitable, young wizard that crosses paths with Alicia near the start of her journey. Linna comes from an old wizard village named Elenia, and she mistakes Alicia for a westerner that’s pretending to be one of their own. As you can probably tell from the gif, things definitely take the wrong course, and thus a mini-boss is born! 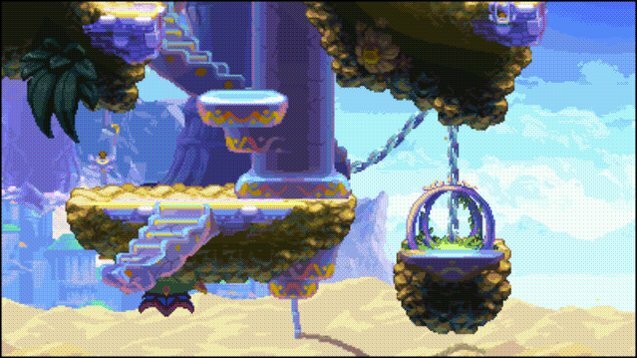 Something we try to do with all of the bosses and mini-bosses in Heart Forth, Alicia is to throw something at you that you haven’t seen before, and in some cases will become part of your skill set afterwards. For instance, this fight with Linna begins on the ground, but as it progresses she moves her attack up to higher ground and out of your reach with something brand new: the wall jump. This early in the game, Alicia doesn’t have the ability to keep up with Linna’s vertical antics on her own. But what does she have? Why, there’s a blue Bimble in sight! Bad news for him, but great news for Alicia as she can use its naturally springy properties to catapult herself into the air and even the playing field with Linna. 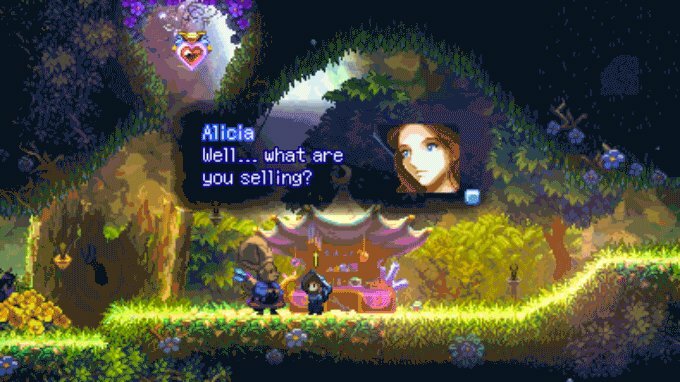 The cool, new mechanics that you inherit from bosses and mini-bosses throughout Heart Forth, Alicia open up new opportunities for exploration, combat or puzzle-solving. We just finished polishing off a big boss yesterday, and though we’re not showing it off quite yet, it feels and looks very similar to the bosses you’d find in the newer Zelda franchises (only in 2d!). We’ll be showing it off to everyone soon enough! Hey Alonso, I gotta say you are an inspiration to people like me who really desire to make games. Freaking amazing! !